Whether you want to print fixed information such as the product name or SKU, variable information like time, sequential numbering, a Best Before or Expiration Date, adding the new ink jet printer gives you the versatility to do it. 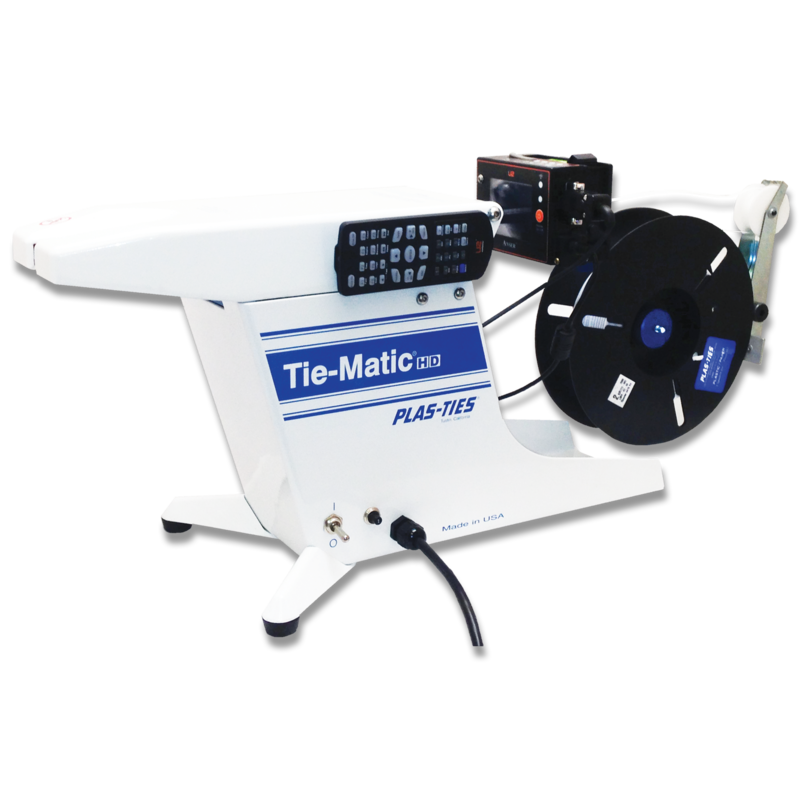 Software in the print head allows you to correctly position the imprint on the leading edge of the twist tie, or if you prefer, you can continuously repeat the message over the length of the tie. A large display for easy reading plus a remote control included. 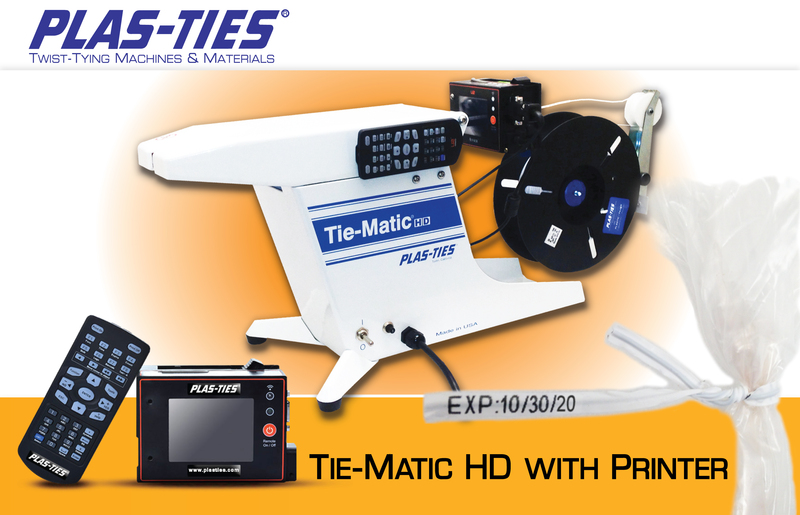 Currently only the HD38 and HD58 twist tie machines accept the Ink Jet Printer. HD InkJet Printer Solution Package (includes: printer, assembly, controller, initial programming & 1 ink cartridge). 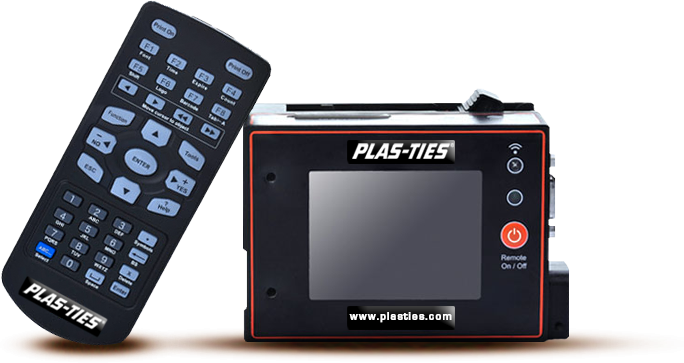 Plasties Ink Jet Printer needs to be factory installed. The factory installs a slightly longer feed drum to enable one leg of the tie to be longer than the other for printing purposes. Shipping charges not included for returning your machine after modification. Machine sold separately and not include in price. This offer is for existing machines that will need to be returned to the factory for modification to accept the Ink Jet Printer.